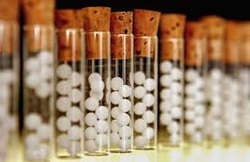 Homeopathy is a safe, effective system of natural medicine, used by millions of people worldwide for more than 200 years. Homeopathic medicines are prepared from natural sources, are used in extremely minute amounts, are safe and effective, and can be used with infants, children, adults, and animals. Our focus is in using drainage remedies, complex remedies, and low potency remedies to assist the body's natural healing processes. Many of these remedies are extensively used in many other countries throughout the world.